Clearly, the high jinks on the “Modern Family” set extend beyond the scripted moments. 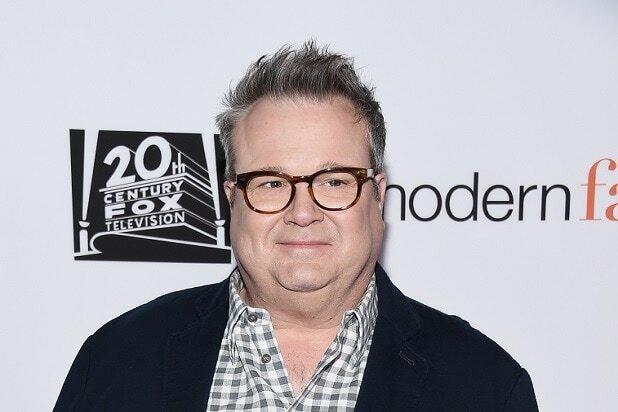 Eric Stonestreet, who plays Cam on the hit ABC sitcom, shared a moment of behind-the-scenes shenanigans on Thursday, chronicling a moment when he appeared to shake co-star Jesse Tyler Ferguson to his core. The accompanying video evidence of the moment captured Ferguson scrolling through his phone and reacting with disgust as he came across the offending content. “Eww, Eric .. no!” Stonestreet exclaimed in reaction. Stonestreet then put his hand to his head and emitted an exasperated groan. Stonestreet didn’t share the exact nature of the “VERY unpleasant meme” with fans, prompting curious reactions in the comments section of the post. “What was that meme!!!! !” one fan asked. Here is @jessetyler receiving a VERY unpleasant meme from me on set. This picture of Winter and Gould was taken at the 2013 SAG Awards. Winter posted it on her Instagram with the caption "Love my fake little brother!!!! 🙂 #sagawards2013 #fakebrother #saglove"
Winter was criticized in early May this year for not dressing as casually as her co-stars at a "Modern Family" screening event. "Why TF does anyone care that I didn’t dress casual like everyone else for the panel? Why do I have to be like everyone else?" she responded. Winter received backlash for posting pictures of herself in a bikini to Instagram on Memorial Day. But the actress recently told Refinery29 of online haters, "Those people are going to be rude to me regardless of what I do, so I should just try and be happy with what I am."